This ring is part of a nature series with color pop. 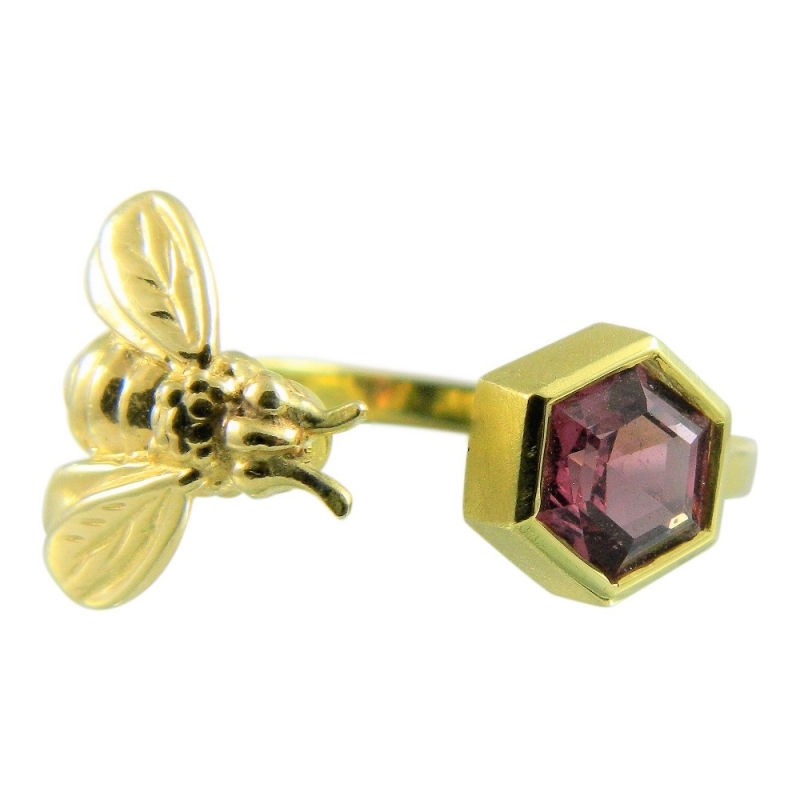 One end of the ring is a bee and the other end is a hexagonal-cut high quality Rhodolite. 18k green gold is an Alison Nagasue signature, which looks fabulous on any skin tone. The finish is a soft satin matte with polished accents. The Artist loves nature and designs many animals, insects, leaves and sea creatures as a vital element of her jewelry. Get the wow factor with this flash of color contrasting with unusual green gold. This beautiful open ring is adjustable in finger size so that it can be worn on most fingers to change it up. 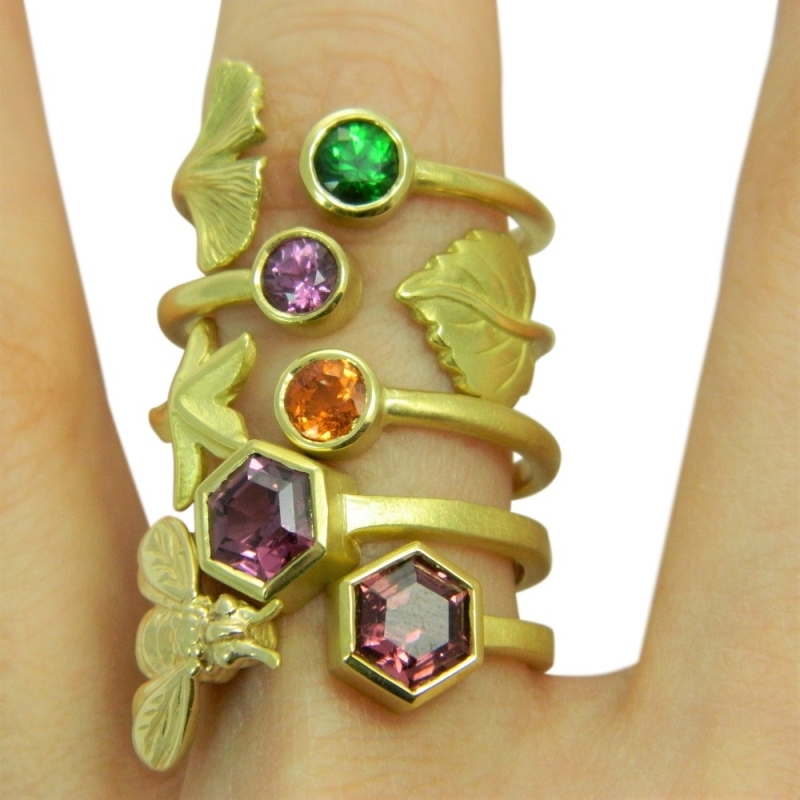 This ring can be special ordered with other gemstones. Please contact us at sales@eclecticartisans.com to enquire about delivery and cost.